For any of your fitness endeavors, an iPhone could be the best fitness gizmo. When you already have an iPhone, you don’t have to spend any more money on fancy fitness gadgets. 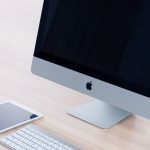 If you are wondering whether iPhones work the same way as the fitness gadgets, be assured that they do. An iPhone is made of the right set of processors and sensors to gather every bit of data and provide precious outputs. Moreover, there are apps classified in different sections which make it just right for an iPhone to be a fitness tracker. We have sorted out top 3 fitness apps that’s been mostly downloaded in the app store. This is a free motivator app available in Apple App Store. This app provides the necessary motivation to get your rear out of bed, put on your running shoes and hit the roads. Of course exercise requires motivation, but it better not be a t-rex make you run for your life. Even if you have to, you should be planning beforehand so that you don’t get eaten. ‘Challenges’ does almost everything from motivating using text, pictures and videos and track your fitness activities. The tracker is capable of tracking nearly 200 types of fitness activities. Based on how much you work out in the given time, the app rewards you with points, prizes and coupons. That’s how the app motivates a person undertaking physical exercise. For the low fun running geeks, there’s Edmondo that would track your running. But for the people who loves tad bit fun incorporated within their early morning jogging, Zombies, Run! could be the best workout app. The app puts you in the 5th position and you begin your running with a mission. Your civilization has been attacked by the zombies and your mission is to fetch supplies for your people from an outside base. As you run your velocity and distance would be tracked and instructions will pop up in the audio. To make it feel even more real, there would be spooky music in your ear pods as well. This app is available for $4 in the App Store. If you are into gym exercises, then Pump Up could give you the inspiration you need for weight lifting. This app is kind of interactive because rather than giving you some video tutorials, Pump Up shows interactive animations that helps you understand better how a lifting should be done. The animation would play and resume without you tapping play/pause every time you want to see something again. This is great convenience while exercising since you don’t have to put your weight done just to touch the display. For better assessment, the app will take not of what equipment you are lifting so there’s much lesser risk of doing the wrong workout. 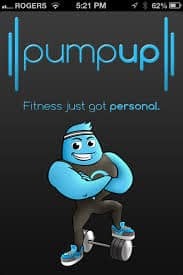 Pump Up is available for free download in App Store. Fitness apps are getting popular because they do best what they are supposed to do. And smartphones are pretty much in everyone’s hands, not the fitness gadgets so that’s another reason why no one is opting for dedicated fitness gizmos these days. Give these apps for iPhone a try for a better workout experience.